Disney’s Epcot Greenhouse Tomato Tree, Lycopersicon esculentum, originally engineered by Chinese scientists, yielded a total of 32,000 tomatoes by the time it reached 16 months! They won a Guinness World Record for the most tomatoes harvested from a single plant in a single year. Hope they taste as good as they look! Buy seeds, plant! Night air temps are now 50+ degrees if you live coastal SoCal! At Pilgrim Terrace Community Garden, we are about a mile inland. Temps vary if you garden further inland or are in the foothills or quite south of Santa Barbara. Check your soil temps too – 60 to 65°F is good. 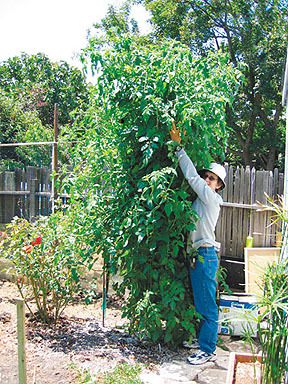 Master Gardener Yvonne Savio says ‘Planting them into the soil when air temperatures are still cool results in growth stress which is difficult for the plants to overcome. Peppers, especially, will just “sulk” if their roots are chilled, and they won’t recuperate quickly [if ever] – best to just wait till the soil has warmed before planting them.’ Peppers especially need nighttime temps above 55°F and soil temps above 65°F. Word. First week of March get ’em in the ground! Seeds and transplants! If you plant transplants, put in seeds at the same time. They will be coming along 6 to 8 weeks behind your transplants so you have a steady supply of yummy veggies! Succession planting makes such good sense. If tending seedlings isn’t your cup of tea, just leave space and put in more transplants in 6 to 8 weeks from now. 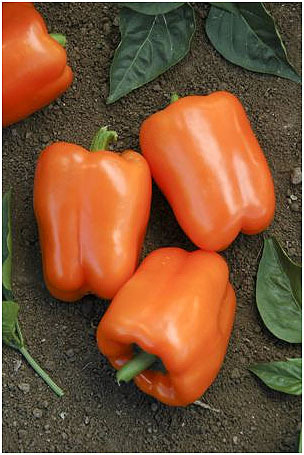 Choose drought and heat tolerant varieties as possible. If our summer is hotter than usual, good chance of that, enjoy planting plants that need more heat than our coastal veggie gardens usually support. That would be melons, pumpkins, large eggplants, okra! Timing is important! Plant Winter squash NOW so it will have a long enough season to harden for harvest and be done in time for early fall planting. APRIL is true heat lovers time! Eggplant, limas, melons (wait until May for cantaloupe), peppers, pumpkins and squash! 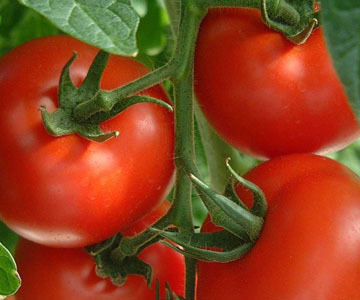 Many wait until April to plant tomatoes. Wait until the soil has warmed to 70°F before planting squash and melons. Some gardeners wait until JUNE to plant okra. It really likes heat and grows quickly when happy. Choose faster maturing varieties for coastal SoCal. If you anticipate a HOT summer, plant a tad earlier and be prepared to deal with it if summer is overcast as often is the case after all. Right now plant cold tolerating quick maturing tomatoes, and pepper transplants. Outdoors, sow or transplant beets, carrots, celery, chard, herbs, Jerusalem artichokes, kale, kohlrabi, leeks, lettuces, green onions, bulb onion seed and sets (be sure to get summer- maturing varieties), parsley, peas, peanuts, potatoes, radishes, shallots, spinaches, strawberries, and turnips. Transplant broccoli, Brussels sprouts, cabbage, cauliflower, and kohlrabi seedlings. Time for heat-resistant, bolt-resistant lettuces of all kinds! Sierra, Nevada, Jericho, Black Seeded Simpson are some. Beans, Cukes, Dill, Radish Combo! Depending on ground temps, tuck in some bean seeds where the peas are finishing, intermingled with cucumber seeds that will grow below the beans, plus a few dill to go with the cukes! Plant radishes with the cukes to deter the Cucumber beetles. Tomato Tips: La Sumida has the largest tomato selection in the Santa Barbara area! Ask for Judi to help you with your veggie questions. Heirlooms are particularly susceptible to the wilts, Fusarium and Verticillium. Instead, get varieties that have VFN or VF on the tag at the nursery. The V is for Verticillium, the F Fusarium wilt, N nematodes. Ace, Early Girl, Champion, Celebrity, are some that are wilt resistant/tolerant. In these drought conditions, consider getting only indeterminates. Indoors, sow eggplant, peppers, and more tomatoes for transplanting into the garden in late April or early May. Also Cucumbers, eggplants, melons, squash and sweet potatoes. Plant some lovely chamomile, cosmos, marigold and yarrow to make habitat and bring our beneficial good friends, hoverflies, lacewings, ladybugs, and parasitic wasps. Please see Drought Choices info before you choose your varieties. See the entire March GBC Newsletter! It may seem a bit early to talk about tomatoes, but tisn’t! Hey, it’s always ok to talk about tomatoes, right?! There are important things to know about that start well before planting time! Read on…. Last year I tried the dandelion cure – either I didn’t do it right, not enough dandelions soon enough, or it doesn’t work. But this year I am going to plant toms where the dandelions grew into big patches, just in case there are any residual benefits! This year I found this info from Gene Bazan, Ph.D, about toms and favas and I have fava seeds!!!! Favas First, then Tomatoes! Or…. Gene says: Many years ago I introduced a diseased Early Girl tomato plant I purchased at a greenhouse. Unknown to me, it had verticillium wilt. I thought the wilted look was just due to dry conditions, but didn’t think much about it. I composted the debris, and unwittingly used the diseased compost in the following year’s tomato bed. That year I lost 3/4 of our tomatoes to wilt. I then took a diseased plant to the pathology lab at Penn State, and got the diagnosis. I remembered that Jeavons wrote that fava (bell) beans counteract wilt, so the next year I planted fava beans in early April, and put the same tomato varieties in the same bed. Mortality dropped to 1/4th. Since that time, we always precede tomatoes with bell beans. We have reduced wilt even further. Clearly, here in SoCal, we have missed the usual Sep to Nov fava planting window, so let’s do as Gene did, plant favas and tomatoes at the same time! I already have one Jetsetter (those are Jetsetters in the image), unbelievable VFFNTA resistance/tolerance, in the ground surrounded with a six pack’s worth of favas. All doing fine so far. Next fall decide where you will plant your 2012 toms and put in a patch of favas then and there! Plant your toms, as usual, starting in March. Basil and Wilts Since so many of us like to companion plant basil with our tomatoes, and tomatoes are so wilt susceptible, and the wilt fungi are in the soil and windborne to boot, what’s a Pesto Lover to do?! Get wilt resistant basil variety Nufar! Pesto lovers, Nufar is the first basil that is wilt resistant, developed in Israel in 2006. It is a Genovese basil, heat and humidity tolerant, and very tasty! ArcaMax Publishing says: …some of the specialty basils (such as lemon and purple basil) have shown some resistance to the disease. If you can’t find Nufar basil locally, do send for seeds ASAP, and ask our local nurseries to stock it! And please, do NOT compost diseased tomatoes, or any other diseased plant. Better to trash it, not even put it in green waste that the City will make into compost. That’s how you spread soil born fungi, let alone that they are also windborne. If your neighbor has a diseased plant, don’t be shy to respectfully and gently ask them to remove it. Remember, they raised that child, besides having paid for it. How hard was it for you to give up your plant? Especially the first time. See? They may not even know about wilts. Educate them if possible. Tell them how you learned about it. Offer to forward this info to them. TOLERANT. 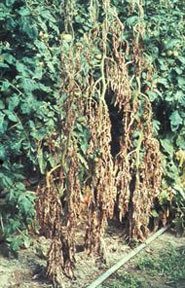 Some varieties like Surecrop, mentioned below, are wilt tolerant. They keep producing well though diseased. What to do? At Pilgrim Terrace, the soil has the wilts and wilt is virtually unavoidable. Slowing it down is probably the best we are going to do. So, find out what variety your neighbor has planted before you make your request for them to pull a producing plant. If the plant is simply dead, then it is a nonproducing disease factory, better for everyone that it is removed ASAP. Use your discretion and kindness. If you have success with a particular variety, do let your nursery know so they will stock it again! A couple gardeners at the Terrace have had good luck with 2 blight resistant/tolerant determinate varieties, New Hampshire Surecrop, a 78 day, great tasting slicer/canner, and Legend, a very early 68 day! The best to you with yours!